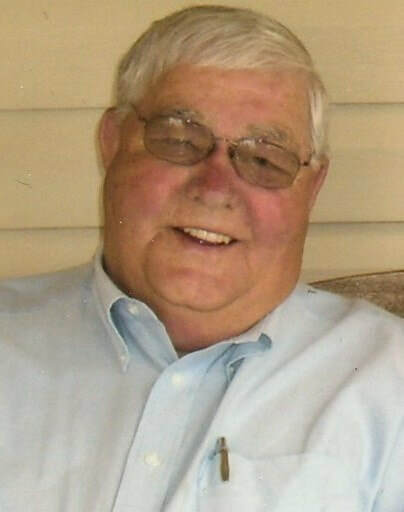 Kenneth “Ken” J. Spencer, age 77, of Henderson, NE died Tuesday, March 19, 2019 at Henderson. He was born on December 15, 1941, in Gans, Oklahoma, to Boyd and Edith (Henry) Spencer. He married the love of his life, Margaret St. John, in Owasso, Oklahoma, on May 25, 1963. Ken worked 32 years as a school administrator in Oklahoma and Kansas where he touched many lives. He was devoted to his wife Margaret, and after retiring from the school system, they took a job traveling and working for retirement communities for eight years. Ken was a member of the East Hill Church of Christ in York, where his love for the Lord was evident. Ken was also known for being a handyman, garage sale finds, and his love of tinkering in the garage. He was a beloved Papa who enjoyed following his grandchildren’s activities from near and far. Unwrapping fun gifts in comic paper from Papa is a memory his family will never forget! Besides spending time with family, Ken enjoyed bird watching, gardening, Royals baseball, Chiefs football, and Oklahoma football. He is survived by his wife of 55 years, children and spouses: Steve & Juli Spencer, Columbus, NE; Susan & Bryan Becker, Clarkson, NE; Jarrod & Aubrey Spencer, Garden City, KS; Andrew & Collett Spencer, WaKeeney, KS; eleven grandchildren: Zachary Spencer & fiance’ Rylee Jones, Marika Spencer, Brigham & Amber Becker, Alyssa & Reid VanWesten, Kaylee Becker, Colby Becker, Oliver Spencer, Ava Spencer, Blake Spencer, Rylee Spencer, Mason Spencer; three great grandchildren: Myles Becker, Aleigha Becker, Camden VanWesten. His surviving siblings are Sandra and Terry McClain, Port LaVaca, Texas; Melvin and Patsy Spencer, Owasso, OK, and Jerry and Lana Spencer, Owasso, OK.
Funeral services are scheduled for 10:00 AM, Monday, March 25, 2019 at the East Hill Church of Christ in York. Private family inurnment at a later date. Visitation is scheduled for 3:00 – 8:00 PM, Sunday at the mortuary in York, with his family greeting friends from 3:00 - 5:00 that afternoon at the mortuary. Memorials may be sent to the family for later designation.